Hi guys! 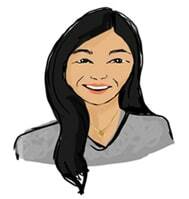 My name is Irene Seto and I am the writer behind Mint & Heritage. I’m a born-and-raised Calgarian so that makes me a bit of a unicorn right?! I’m also left-handed, a Taurus sign and an Ox on the Chinese Zodiac so I feel like my bull-headedness is beyond EXTRA, and a lover of all the cute bunnies that populate Calgary city parks. Looking to work with a talented and passionate influencer like myself? Connect with me here. There are so many things to love about mint. It’s a refreshing flavour on a hot summer’s day. It’s fresh, pristine and makes you want to rise to a new level. It’s the perfect colour of my beloved bicycle. We all come from different backgrounds and experiences. My heritage makes me who I am. Put it together and what do you get? All the things that make up the wonderful and quirky ways of Irene Seto. Come join me on my blogging adventure. 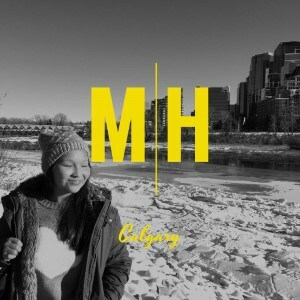 Jay Palter’s Top 200 Calgary social media influencers – My Twitter profile @heyseto cracked this list at #134! 2014 Wordcamp Calgary conference panelist speaker – Generating Success from your WordPress site, How To Get Exposure In a Crowded Online Market. Wonder about the rules and expectations behind this blog? Head on over to the Privacy and Disclaimer section. They say that good things come in small packages and Irene is no exception. Small in size, big on laughs. This website partners with brands from time to time to share fun products and services. No one tells me what to write -- all opinions, as always, are my own.